Mix oil, lemon juice and rind, parsley, salt and pepper together. Brush the skin side of the fish with a little bit of extra oil to prevent it from sticking to the braai grid. 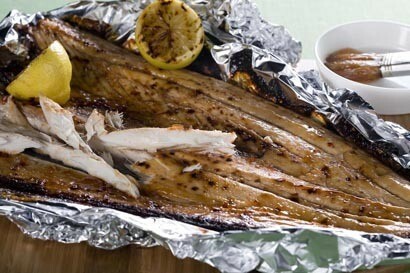 Brush fish with oil mixture and braai for 15-20 minutes over medium coals with the skin side down. Turn fish over and brown on the other side for a few minutes. Take care not to burn or overcook the fish. Carefully flake the fish to see if it is cooked – it should separate easily. Serve with a salad, lemon wedges and starch of your choice.